We’re inching closer and closer to winter, and many of you are preparing to start tree trimming in preparation for a potential harsh season. 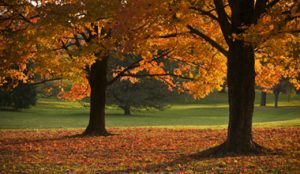 Many of you are first-time property owners, and there are some of you who have maple trees in your front and/or back yard. As you get ready to trim, here’s something that you want to keep in mind. Maples, during the winter and part of the earlier stages of spring, will “bleed” or, simply put, leak tree sap after pruning. The purpose of sap is to supply nutrients to the tree, and pruning during this time can cause a lot of bleeding because of the high levels of sap. Pruning should be done more during the middle of winter when the tree is dormant. Pruning also can be done closer to the summer when a tree is in full bloom. Just to relax your nerves, bleeding does not hurt the maple tree. It just gives the tree an unattractive look, as sap will be present on a tree’s exterior. You may notice this without pruning, especially if you have squirrels. These little rodents love nibbling on the bark of a maple. Do your best to maintain this cosmetic issue, as the sap may attract insects. For more information on tree trimming and pruning, contact our Blooms Landcare professionals of Fort Worth TX. They’ll be willing to help you with any situation.